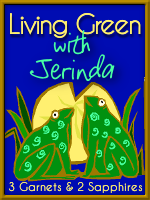 3 Garnets & 2 Sapphires: Living Green With Jerinda: Kathy Gruver's "The Alternative Medicine Cabinet"
Living Green With Jerinda: Kathy Gruver's "The Alternative Medicine Cabinet"
As you’ve realized by now, I am a person who tries to be eco-friendly. We recycle, try not to be wasteful, reuse everything we can, support companies that encourage and advocate for Green practices, buy as much organic and natural as we are able, and we utilize many forms of alternative medicine. We get most of our groceries at our city’s Farmers Market and we frequent our local health food store many times a week. Homeopathy keeps my family healthy and I am always researching more and more ways to be naturally healthy. Therefore, when I was sent a book by Naturopath Kathy Gruver, I was thrilled to read it. The Alternative Medicine Cabinet is an easy read, but packed with information that everyone should know. From pregnancy, to stress, to cancer, Gruver covers many excellent aspects of naturopathy and homeopathy. I pride myself on being well-educated in this area, but Gruver’s book still taught me several things I did not know before. For instance, I knew that massages are very good for your body and mental health, but I never knew why each type of massage is different and what each one is specialized in. I will definitely be using this guide to massage as I make future appointments. The book is well written, covers a lot of information without being boring and is very easy to navigate. The table of contents gives a great breakdown and explanation of each chapter, which will make it easy to go back and find certain information without having to re-read the entire book. If you are interested in natural ways to treat your ailments and illnesses, this book would be great for you. Even if you are new to using this form of medicine, this would be a great guide to get you started. 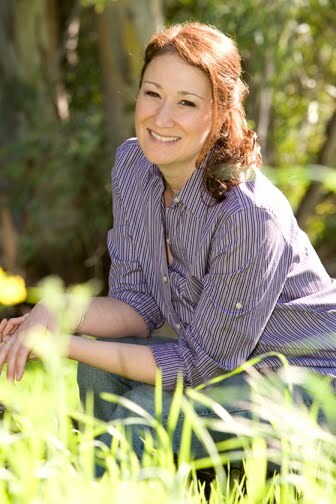 To learn more about the book The Alternative Medicine Cabinet and author Kathy Gruver, visit TheAlternativeMedicineCabinet.com . You can purchase the book right on this website or from book retailers such as, Amazon.com, Barnes & Noble, and Overstock.com . Thank you to Kathy Gruver for sending us a sample copy of this book free of charge to base this review upon.